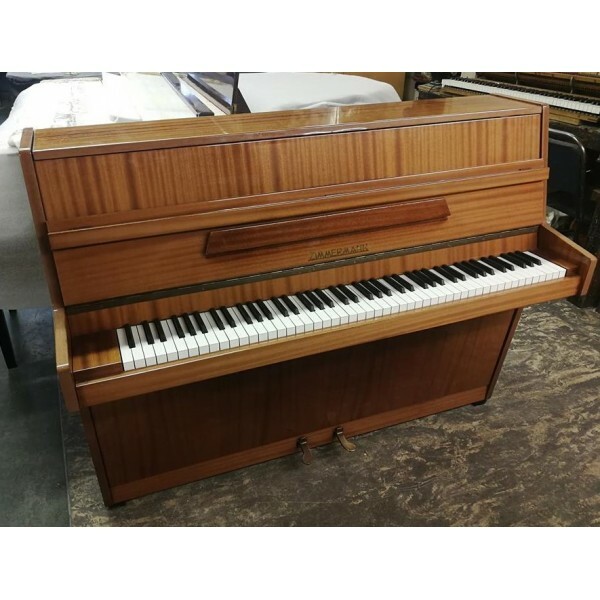 Pre-owned upright piano by Zimmermann, finished in mahogany satin built in 1980. This instrument is now sold but we always have a good selection of alternatives - please contact us for up to date stock information. at the Zimmermann factory in Leipzig. This piano is awaiting a comprehensive service in our workshops, including regulation, cleaning, tuning and voicing. The casework is of a compact, modern style and is in good condition for its age. There is, however, substantial fading.